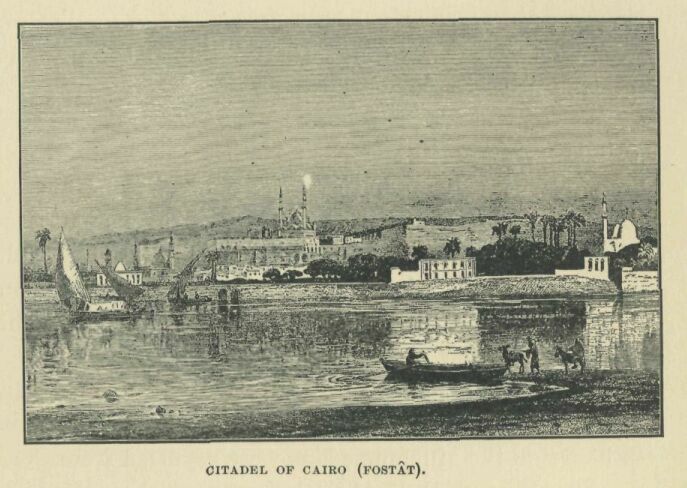 Some 300,000 Jewish documents were hidden in a closet in Cairo for hundreds of years. They were discovered by the lady adventurer twins Agnes Lewis and Margaret Gibson and the legendary Rabbinical scholar Solomon Schechter. Here is their story. 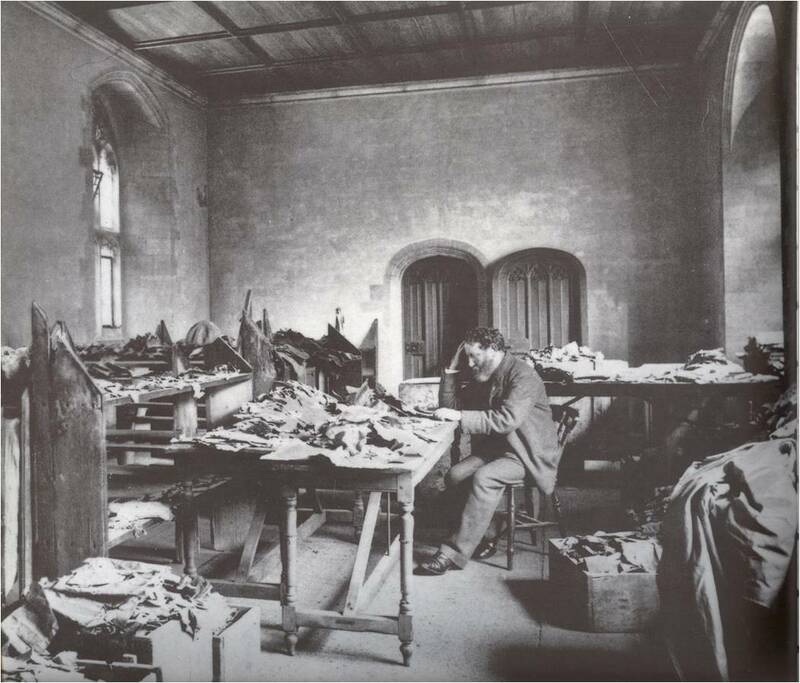 Solomon Schechter studying the fragments from the Cairo Geniza, Photo via Cambridge University Library. Below is an excerpt from the book Sacred Trash, by Adina Hoffman & Peter Cole, as recommended by Longreads contributor Dana Snitzky. 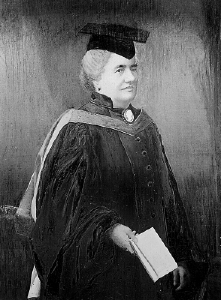 When the self-taught Scottish scholar of Arabic and Syriac Agnes Lewis and her no-less-learned twin sister, Margaret Gibson, hurried down a street or a hallway, they moved—as a friend later described them—“like ships in full sail.” Their plump frames, thick lips, and slightly hawkish eyes made them, theoretically, identical. And both were rather vain about their dainty hands, which on special occasions they “weighed down with antique rings.” In a poignant and peculiar coincidence, each of the sisters had been widowed after just a few years of happy marriage to a clergyman. But Mrs. Lewis and Mrs. Gibson were distinct to those who knew them. Older by an entire twenty minutes, Agnes was the more ambitious, colorful, and domineering of the two; Margaret had a quieter intelligence and was, it was said, “more normal.” By age fifty, Agnes had written three travel books and three novels, and had translated a tourist guide from the Greek; Margaret had contributed amply to and probably helped write her sister’s nonfiction books, edited her husband’s translation of Cervantes’ Journey to Parnassus, and grown adept at watercolors. They were, meanwhile, exceptionally close—around Cambridge they came to be known as a single unit, the “Giblews”—and after the deaths of their husbands they devoted themselves and their sizable inheritance to a life of travel and study together. This followed quite naturally from the maverick manner in which they’d been raised in a small town near Glasgow by their forward-thinking lawyer father, a widower, who subscribed to an educational philosophy that was equal parts Bohemian and Calvinist—as far-out as it was firm. Eschewing the fashion for treating girls’ minds like fine china, he assumed his daughters were made of tougher stuff and schooled them as though they were sons, teaching them to think for themselves, to argue and ride horses. Perhaps most important, he had instilled in them early on a passion for philology, promising them that they could travel to any country on condition that they first learned its language. French, Spanish, German, and Italian followed, as did childhood trips around the Continent. He also encouraged the girls’ nearly familial friendship with their church’s progressive and intellectually daring young preacher, who had once been a protégé of the opium-eating Romantic essayist Thomas de Quincy. After their father’s sudden death when they were twenty-three, Agnes and Margaret sought consolation in strange alphabets and in travel to still more distant climes: Egypt, Palestine, Greece, and Cyprus. By middle age they had learned, between them, some nine languages—adding to their European repertoire Hebrew, Persian, and Syriac written in Estrangelo script. Having also studied the latest photographic techniques, they journeyed extensively throughout the East, taking thousands of pictures of ancient manuscript pages and buying piles of others, the most interesting of which they then set out to transcribe and translate. 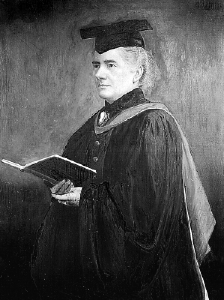 As women, and as devout (not to mention eccentric and notoriously party-throwing) Presbyterians, they lived and worked on the margins of mostly Anglican, male-centered Cambridge society—women were not granted degrees at the town’s illustrious university until 1948—and they counted as their closest friends a whole host of Quakers, freethinkers, and Jews. Yet Agnes’s 1892 discovery at St. Catherine’s Monastery in Sinai of one of the oldest Syriac versions of the New Testament had brought the sisters respect in learned circles: their multiple books on the subject ranged from the strictly scholarly A Translation of the Four Gospels from the Syriac of the Sinai Palimpsest to the more talky and popular How the Codex Was Found. Somehow the rumor spread that Mrs. Lewis had just happened to recognize a fragment of the ancient manuscript in the monastery dining hall, where it was being used as a butter dish. In fact, the codex was kept under tight lock and key, and its very fragile condition—to say nothing of its sacred status—certainly precluded its use by the monks as mere tableware. It took serious erudition and diplomacy for the twins to gain access to the manuscript in the monastery library; they then worked painstakingly over a period of years to decode the codex, as it were. “The leaves,” wrote Agnes, “are deeply stained, and in parts ready to crumble. One and all of them were glued together, until the librarian of the Convent and I separated them with our fingers.” She and Margaret proceeded to photograph each of its 358 pages and, on their return to Cambridge, processed the film themselves and labored over the text’s decipherment. Later they arranged for an expedition of several distinguished Cambridge scholars to travel with them to Sinai, where they worked as a team, transcribing the codex as a whole. This understatement was typical of Agnes, and gives little sense of the startling events that had come to pass one historic May day in 1896, soon after the twins’ return. Suffering from what her sister, Margaret, described as “a severe rheumatic illness, caused by undue exposure on the night when we had lost our tents in the valley of Elah,” Agnes had decided that morning to stretch her legs. While out strolling in downtown Cambridge, she was especially glad to bump into a good friend—and, strangely, another twin who also took great pride in his beautiful hands—the Romanian-born Talmud scholar, Solomon Schechter. By turns fierce, warm, brusque, tender, biting in his wit, and thundering in his manner, “the king in any society in which he found himself,” Schechter was often described in peculiarly zoological terms. Now he was “a demanding lamb,” now an eagle or a bear. “I can see him in my mind’s eye, at the height of a debate,” wrote yet another friend, “rising from his chair, perhaps kicking it down, and pacing… the room, like a wounded lion, roaring retorts.” Lamb or jungle cat, he inspired awe and devotion in most people, though one imagines that the formidable Agnes Lewis would not even have blinked as she sailed—however arthritically—toward Schechter that day in the street. She and Mrs. Gibson had, she hastened to tell him, spent the last few weeks developing the photographs and sifting through the manuscripts they’d brought back from their most recent trip. Their purchases included what Agnes would later describe as “a bundle of documents from a dealer in the plain of Sharon… [and] a similar bundle bought in Cairo.” Margaret, whose turn it was to do the sorting, had managed to identify most of the items that they’d carted home in a trunk—and which had almost been confiscated by overzealous customs officials in Jaffa. She had worked her way through the Hebrew fragments and set aside what she deemed parts of “the Canonical Books of the Old Testament” (the only sections of the Hebrew Bible that she, as a good Presbyterian, would know), assuming that the others were either talmudic passages or “private Jewish documents.” But the twins were eager for Schechter to have a look at some of the items whose contents they did not recognize. Schechter, of all people, might be able to identify the scraps. Remembered by Romanian relatives and acquaintances as having been the wildest boy in his hometown, one who “constantly had to be pulled down from the top of the chestnut trees,” he had also been a prodigy. It was said that Shneur Zalman Schechter knew the Pentateuch by heart at five. And although he was by now almost fifty and—as the Anglicization of his first name indicated—had traveled a long way in both physical and psychic terms from his Hasidic Russian family in the small Moldavian town of Focsani (as had his twin brother, Yisrael, who had immigrated to the Jewish agricultural settlement of Zichron Yaakov in Palestine the same year that Schechter moved to England), he brought with him a prodigious Jewish learning, as well as a voracious appetite for all kinds of knowledge, classical and contemporary. Perhaps best known to twenty-first-century American Jews as the man for whom the Conservative movement’s network of day schools is named, Schechter had been ordained a rabbi in Vienna and applied himself to the Palestinian Talmud at Berlin’s influential new school of liberal Jewish learning, the Hochschule für die Wissenschaft des Judentums; he’d become skilled at the analysis of ancient manuscripts and absorbed a wide range of subjects at that city’s university—everything from psychology and pedagogy to aesthetics, ancient history, Aristotle’s ethics, and Syriac grammar. Besides a deep knowledge of biblical and rabbinic texts and a solid grounding in the “scientific” methods that had by then come to dominate in German Jewish scholarly circles, he had also developed a passion for German, French, and English literature. No knowledge of Robert Louis Stevenson or Daniel Defoe, however, was necessary on this particular May day, and when—just a short time after meeting Schechter in town—Agnes arrived home at Castlebrae, the twins’ stately Gothic Revival mansion, she found Schechter already huddled over the large dining-room table, intently examining the fragments that Margaret had spread across its surface. Without much ado, he identified one vellum leaf as a rare and valuable page from the Palestinian Talmud. “Then,” according to Agnes, “he held up a dirty scrap of paper. ‘This too is very interesting; may I take it away and identify it?’ ‘Certainly,’” she said. Schechter’s plea for secrecy bubbled up from the fact that the original Hebrew of this apocryphal book—also known as Ben Sira—had been missing for nearly a millennium and survived, it was generally believed, only in its Greek and Syriac translations. The haste and great excitement with which he announced the discovery of this text would, however, soon give way to elation of a far more enduring and varied sort, as, within months, it brought Schechter to travel to Egypt and haul away one of the greatest finds unearthed in modern times: the astonishing cache of documents that has come to be known as the Cairo Geniza. It brought Schechter to travel to Egypt and haul away one of the greatest finds unearthed in modern times. Often this depositing of the sacred texts in a secure location was only an interim solution and suggested a kind of liminal existence preceding actual interment. In some communities texts that had been stored in a geniza would eventually be buried alongside a saint or righteous individual; more frequently the scrolls and scraps were ritually consigned to the earth alone. In still other cases it appears that removal from circulation to a geniza constituted the terminal stage of the process and brought the writings in question to their final place of rest. With modifications, the practice of geniza has continued throughout the Jewish world into the present, ranging greatly from community to community. (A related though less well-known tradition exists in Islam, and in Arabic the word for funeral, janaza, derives from the same three-letter root implying “concealment.”) In general and over time, it seems the talmudic notion of geniza as a form of censorship waned, and most genizot came to serve the more neutral function of holding obsolete texts. Beyond that, customs were idiosyncratic and highly variable. A nook near or under the synagogue’s ark, a basement room, a cubbyhole—all could and did function as genizot. (One Iraqi community chose to honor their bags of tired texts by throwing them into the river.) The fragments that required this sort of treatment became known as shemot, or names: they were considered sacred because they bore the name of God. In some towns and cities, the geniza materials were taken out of their receptacles on a designated day and buried in an elaborate ritual that was part funeral, part carnival. Depending on local tradition, the papers and books—and often discarded ritual objects that included or had contact with a written text, such as mezuzot, phylactery straps, and the like—would be placed in straw baskets, leather sheets, or lengths of white cloth, like shrouds. Coffins draped with decorative fabrics were sometimes used to hold a no-longer-valid Torah scroll, and the privilege of pallbearing was bestowed upon those who had donated money to the synagogue. Songs were sung, cakes eaten, and arak was drunk as a procession set out for the cemetery. This act of inhumation served, in fact, as a kind of twin ritual to the dedication of a new Torah scroll, and after the old scroll was buried, pilgrimages to the “grave” would be performed, just as they were made to the tombs of certain holy men. For reasons that remain obscure, in the case of the Palestinian Jews of Fustat, or Old Cairo—who worshipped in what would eventually become known as the Ben Ezra synagogue—the tradition of geniza was, it seems, extended to include the preservation of anything written in Hebrew letters, not only religious documents, and not just in the Hebrew language. Perhaps, as one scholar has proposed, “the very employment of the Hebrew script… sanctified written material.” Another theory holds that the Jews of this community may simply have piled up papers in their homes and periodically delivered whole cartfuls to the Geniza without bothering to separate sacred from secular writing. Or, maybe, as another writer has suggested—in an effort to make sense of the hodgepodge of texts that have turned up in the Fustat Geniza—the impulse to guard the written word may have gone beyond piety and evolved into a “generalized aversion toward casually discarding texts of any kind.” Whatever the explanation, for most of the last millennium, hundreds of thousands of scraps were tossed into the Ben Ezra Geniza, which came to serve as a kind of holy junk heap. More town square than sanctuary, the Fustat synagogue complex was the pivot around which its community’s life in the busy city spun. In addition to serving as a house of prayer and center of study, it provided the congregation’s welfare office, soup kitchen, hostel, clerical and bookkeeping headquarters, and its court of law. As such, all manner of paperwork passed through it and—when discarded—slowly filled to the actual rafters a windowless box of a room on the synagogue’s second floor. Thanks to the dry climate and various legends about a venomous serpent guarding the entrance and a curse that would visit anyone who dared disturb what it held, the haphazardly piled paper and parchment mostly remained hidden behind a wall in the women’s section, until Schechter’s arrival in late December of 1896. It took, in other words, real imagination on Schechter’s part to grasp what faced him in the unprepossessing room later referred to by one Cambridge professor as “that pestiferous wrack.” But grasp it he did: in the dank and musty chaos, Schechter soon came to understand that he had uncovered no less than a cross section of an entire society, and one that lay at the very navel of the medieval world—linking East and West, Arab and Jew, the daily imprint of the sacred and the venerable extension of the profane. 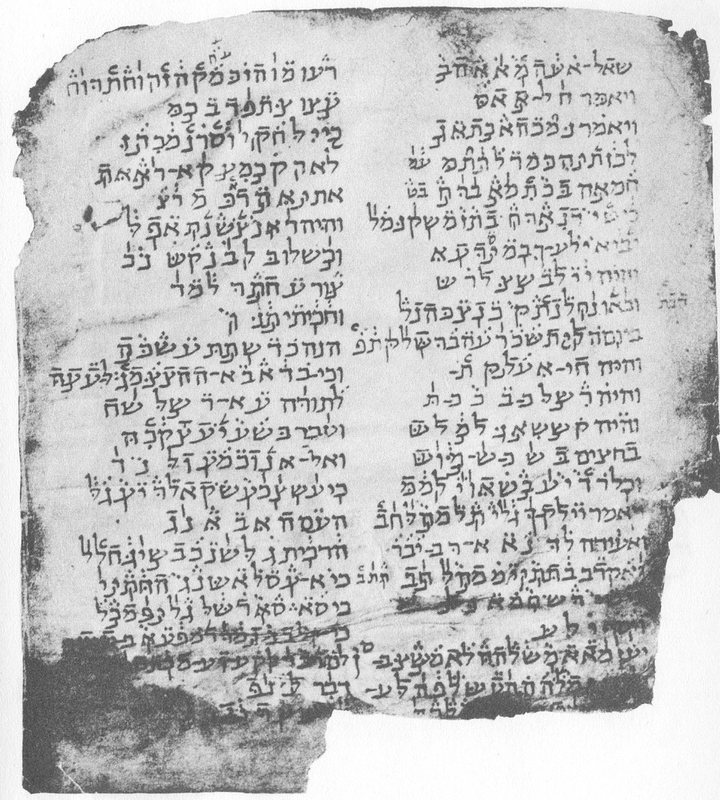 Written on vellum or on rag paper, in ink of gallnut and soot and gum, these pages and scrolls were composed in Hebrew, Aramaic, and Judeo-Arabic, as well as Greek, Persian, Latin, Ladino, and even Yiddish—all written in Hebrew characters. Because those family and business papers were often tossed in unsorted, and stationery was precious and regularly “recycled,” we also find Syriac, Arabic, Coptic, and—in one odd instance—Chinese. Their words were set down by young men and old, by women, children, students, and scribes, by rabbis and rebels, rich and poor, the famous and the forgotten. The Ben Ezra Geniza was the size of glorified walk-in closet. Yet here was an entire civilization. But this is perhaps as it should be. For the Geniza itself tells the tale of many generations, each of which preserved and transformed a part of the tradition it received. Maintaining the practice of concealment, ironically, made future revelation possible, as, over the centuries, an inadvertent archive was amassed. And so, in an almost unconscious manner, the Fustat community restored to the notion of geniza its ancient and essential dimension—that of history as hidden treasure. From the Book: Sacred Trash: The Lost and Found World of the Cairo Geniza by Adina Hoffman and Peter Cole, copyright © 2011 Adina Hoffman and Peter Cole. Published by arrangement with Schocken Books, an imprint of The Knopf Doubleday Publishing Group, a division of Penguin Random House LLC.